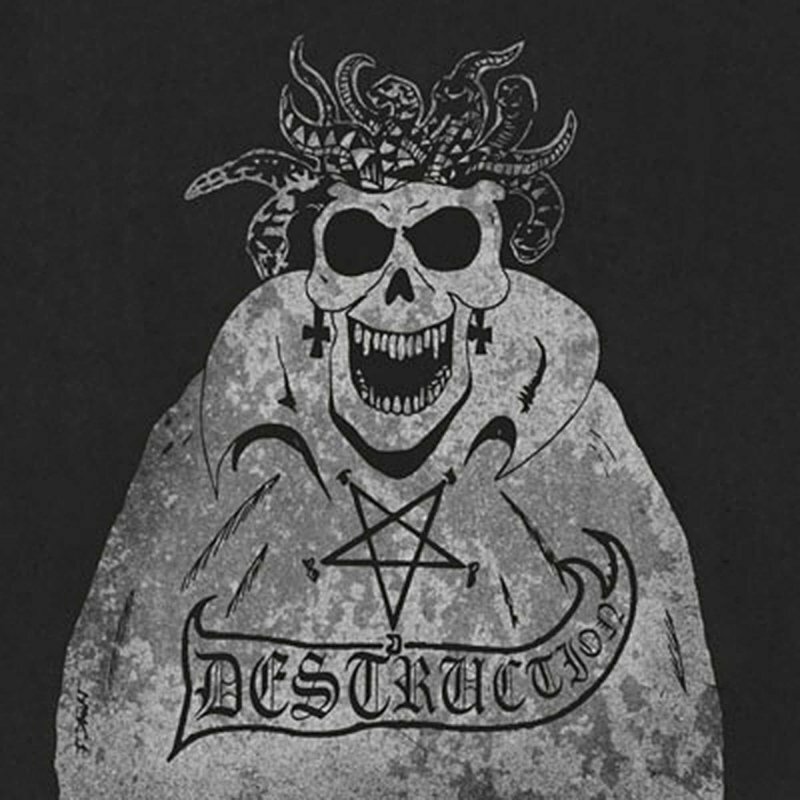 VIC Records, One of the leading German thrash metal band is without doubt Destruction. Together with Kreator, Tankard and Sodom they are the known as The Big Teutonic 4. In their very early days the young musicians were Inspired by Iron Maiden, Mercyful Fate, Motörhead and Venom. Destruction were formed as Knight of Demon in 1982. They changed their name to Destruction the same year. The original Destruction line-up featured vocalist and bassist Schmier, drummer Tommy Sandmann and guitarist Mike Sifringer. In August 1984 Destruction released their debut demo ?Bestial Invasion of Hell?. After the debut demo release, Destruction signed a deal with Steamhammer and released the cult EP ?Sentence of Death? the same year. The demo recordings are completely remasterd by Patrick Engel (Asphyx, Possessed, Sodom). The booklet contains many rare picture and extensive liner notes by all three original bandmembers and Frank Stover from Voices from the Darkside 'zine.